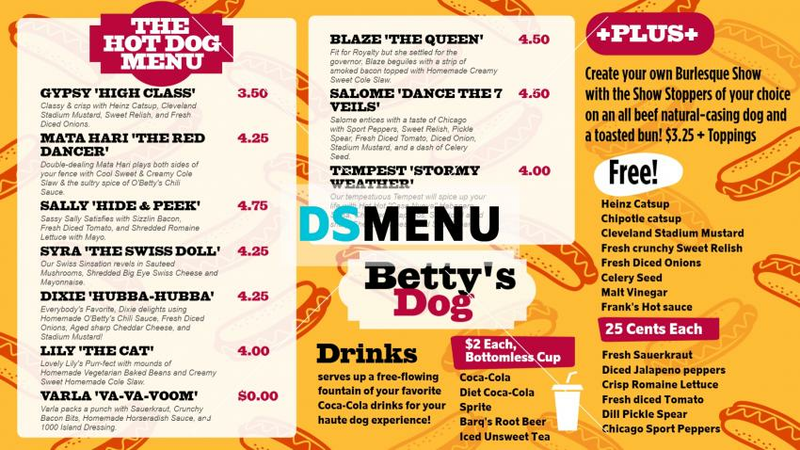 This hotdog menu really stands out , for its bright and resplendent design and colors, as well as for its menu contents. The golden color background with black lettering, in addition to white rectangular and a square block, lend a rare sophistication to the menu. The hotdogs are attractively branded with names such as high Class, The Swiss Doll, Stormy weather and so on. Also on the menu are free sides, soft drinks, and ‘make your own burlesque show’ – enough to create a vibrant setting. Truly a big hit with digital signage menu board !